No Wires. No Tools. No Fuss. Just Stick it and Flip it. 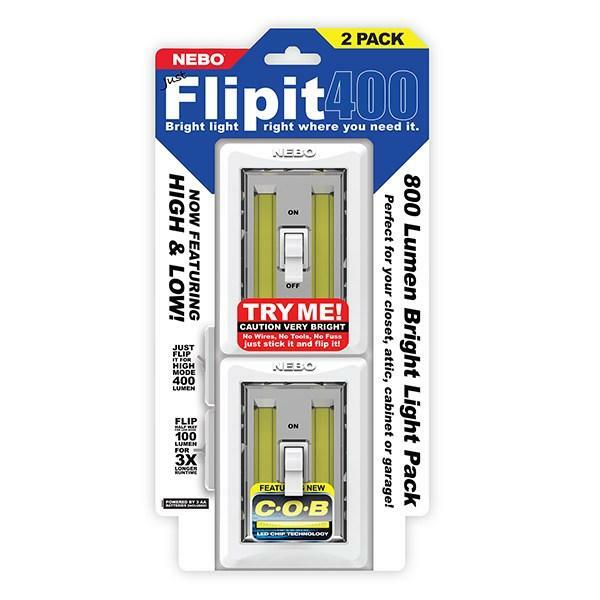 The Flipit400 is a 400 lumen COB LED light that operates like a standard household light switch. You can flip to High Mode for 400 lumens of intense bright light, or flip it halfway for 100 lumens of bright light to extend the battery life. Flipit400 includes hook & loop double-sided tape and 2 magnets for two easy mounting options, as well as a drywall screw hole for permanent mounting. 2 Light Modes: HIGH (400 lumens) - 5 hours / 28 meters. LOW (100 lumens) - 20 hours / 16 meters. 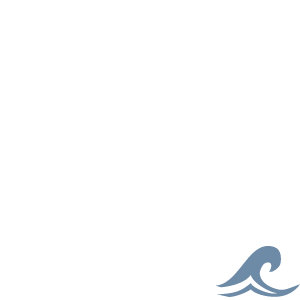 Design: Water and impact-resistant plastic design. Powerful magnets, double-sided hook and loop tape, and screw hole for mounting. Operation: Front-positioned, ON/OFF switch. Battery: Powered by 3 AA batteries (included). Size: 4.5" L x 3.15" W x 1.25" D. Each pack comes with two Flipit400's.